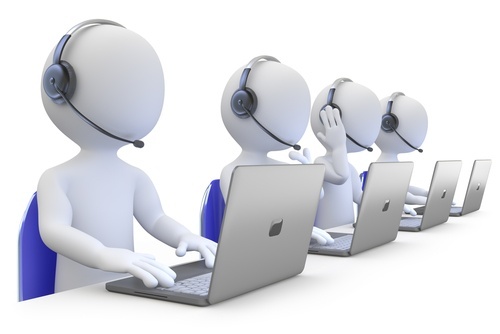 When something goes wrong with the cable, or the credit card or a household product, the horrid thought of spending long periods of time on the phone with a call center associate becomes real. In the early phase of these calls, there is a strong, perky, recorded voice – an American voice – telling you what digits to push. For myself, I usually have questions unanticipated by the automated system, meaning I need to speak with an agent. That point is reached only after shrewd and patient navigation. The digital world fades away and you are routed to a far off place where call centers are cheap to operate. The agents, God bless them, so much want to help. “Good day! And how may I give you the extraordinary service you deserve to assist with your problem?” an agent said to me recently. It’s meant as a joke, but it comes off as nasty. Still, the voice on the other end stays positive. But lately, it’s been a strange voice. It does not sound entirely human. Hence, I’ve concluded that voice synthesizers are being used to strip away heavy foreign accents. But they do a poor job of it. First, you can still tell the person is foreign. If the synthesizer’s purpose is to let Americans think they are talking to Americans (and not that jobs have been moved overseas), it fails at that. Second, it makes communications less clear. An extra layer of audio noise is added, making it more difficult to conduct business. When somebody is already in a foul mood from being on hold, that’s not good. What strikes me most, however, is the transparent hypocrisy of this effort – if indeed my theory is correct. All these companies are too cheap to pay Americans to answer their phones, yet they are willing to spend extra money on technology to cover this up. If anyone has knowledge of call centers using technology to strip away foreign accents, please comment here. I sense I’m right, but it’s only a guess.